Nakaniwa is a gallery based in Paris 6th arrondissement, which promotes the Honmono, a japanese concept. It is about the authenticity which rests with an object thanks to the sincerity of the work of all people involved in its creation as well as the technics and the tradition embroiled in the process. It is about the connectivity between people using the object and people creating it. I cannot imagine more delicate, meaningful concept. It is both refined and simple. In other words, perfect. 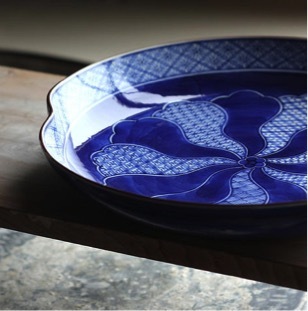 Nakaniwa selects handcrafted products from Japan. As explained on Nakaniwa’s website, “these delicate products may require special attention, such as a glass too thin to be put in a dishwasher, or a knife which the metal must be dried after each use. But this concern brought a special relationship to the object and a connection to the creative craftsman. Thus, these products have a spirit.”. I would go further and say they somehow have a soul. And I love the idea that the care you put in something is what will make it more meaningful to you. It reminds me of The Little Prince of Saint Exupery and his rose.